Moussaka is a layered oven casserole dish made with vegetables and meat. 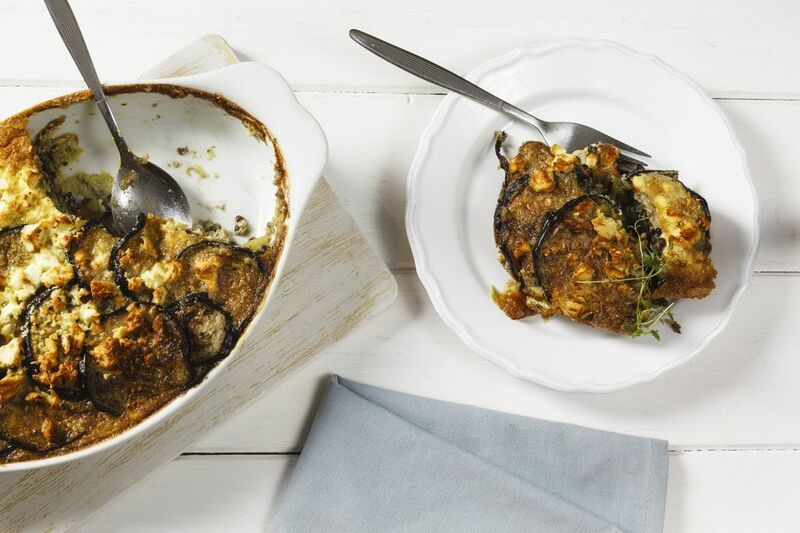 The most well known version of moussaka is made with layers of eggplant slices, cheese, and a meat sauce, topped with a thick béchamel sauce; however, other favorites call for potatoes, zucchini, or a combination of vegetables. More recently, a meatless (vegetarian) version has also become widely available. Until the early 1900s, moussaka was a more simple dish, using just vegetables and meats. The addition of béchamel sauce is attributed to Nikos Tselementes, a Greek chef who trained in France, and this newer version quickly became a favorite in Greece. Examples: Moussaka is one of the most famous Greek dishes.